Rim Family Services Honored By Local CHP! 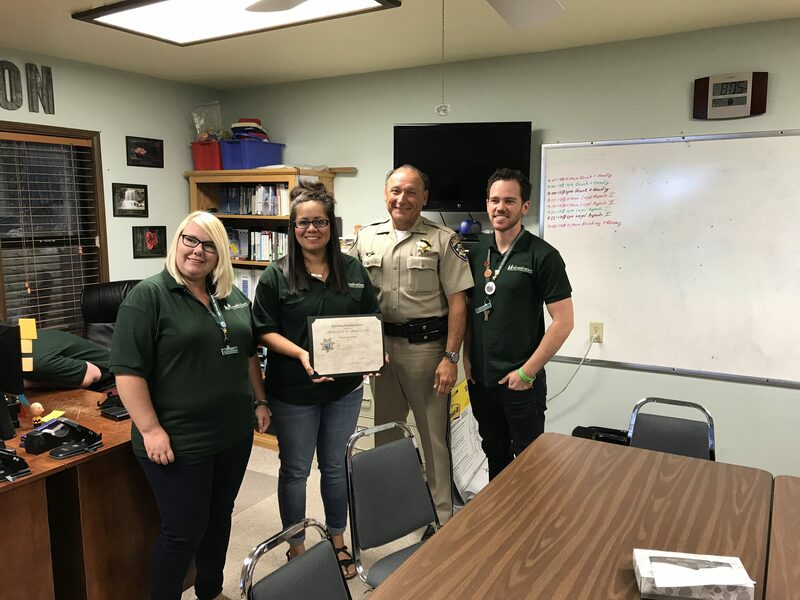 - Rim Family Services, Inc.
We were completely honored to receive a Certificate of Appreciation from the California Highway Patrol (Running Springs station) last Thursday! 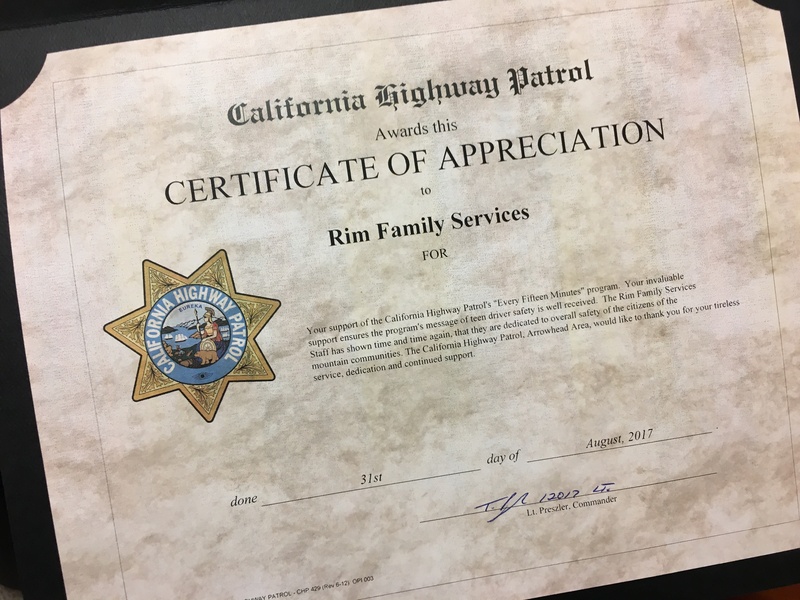 The CHP have been a longtime partner of Rim Family Services, collaborating together on many community projects and programs. As members of the Rim Communities for Youth and Breakthrough Task Force coalitions, our Environmental Prevention department works with them often, pushing to eliminate drug and alcohol abuse on the mountain. Last year, we jumped at the opportunity to assist with the CHP’s “Every 15 Minutes” program up at Rim of the World High School. It was an amazing program, and we truly believe it had a positive impact on our local students! It just goes to show how community collaboration is key to accomplishing success in any community! We are honored and thankful for them and ALL our community partners!